Composing and decomposing fractions using any combination of fractions (beyond unit fractions) allows students to develop a deeper understanding of fractions as number. is 3 one-fourth units (so one fourth is the unit fraction and we are thinking about 3 of them). Partitioning a model involves determining and creating a unit fraction. Consider the fraction one and three-fourths. This number can be decomposed using a unit fraction. One and two-fourths can be composed using a unit fraction. A student may say, “One whole is the same as 4 one-fourth units. I added another 2 one-fourth units to the whole to obtain 6 one-fourth units. So I can see that 6 one-fourth units is equal to one and two-fourths. 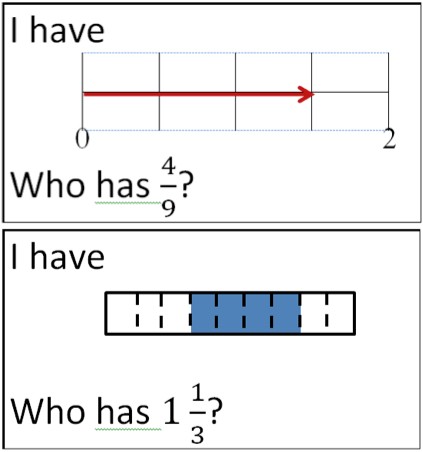 Use of unit fractions supports a deeper understanding of quantity. Notice that in the student dialogue above, early understanding of equivalency is being developed, i.e., one and one half is the same as six fourths. Counting by naming the unit fractions helps students to see the parts of the fraction when composing and decomposing. Notice that both counting unit fractions and composing and decomposing fractions are pre-cursors to addition and subtraction. For example, composing 6 one-fourth units is the same as adding 6 one-fourth units together to make one and one half. Students use pattern blocks as area models to compare fractional regions and explore how the regions change in relation to the whole. This fun and addictive ‘call and response’ game can be used as a whole group minds-on activity or an exit ticket. Students love trying to be as fast as they can to recognize what unit amount they have represented on their card. They enjoy when the entire deck of cards is successfully played from start to finish. The connection between the visual representation and an oral articulation of symbolic notation is especially evident in this task. 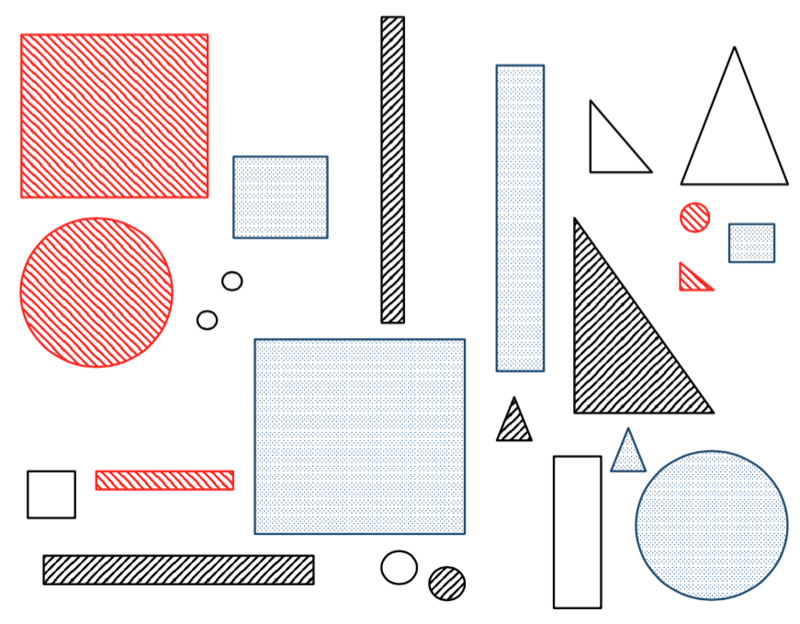 In this task, students will work with a discrete (set) model of shapes with various characteristics. Students will demonstrate their understanding of fractions of a set by using different attributes to compose or identify fractions. They will be using symbolic notation to record and discuss their thinking.